It’s a hard topic to talk about. There’s a lot of taboo around the subject and people are always unsure of what they can and can’t say. However, the silence around the subject only makes things worse. The more we openly talk about suicide, the easier it gets to create a safe space that people can come to if they feel as if ending their life is their only option. Suicide is the number one leading health-related cause of death amongst youth in Canada, accounting for 24% of deaths among those aged 15-24 years. 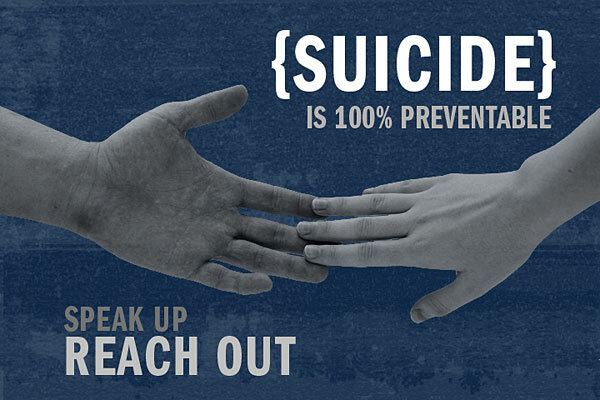 According to the World Health Organization, 800,000 people die by suicide each year. That is nearly 1 suicide every 40 seconds. A quarter million people become suicide survivors each year in the United States alone. Myth: Suicide only happens to those who are unsuccessful in life. Reality: Suicidal thoughts can come to anyone who is going through abnormal stress and/or suffering from mental distress. People of any culture, race, ethnicity, education, or income can be affected by suicidal thoughts or die by suicide. Myth: Once a person decides to take their life, there is nothing you can do to stop them. Reality: This is not true. Suicidal thoughts are abnormal and they change constantly. A person can feel okay one day, but their thoughts can get worse the next. It is important to reach out for help if you are experiencing suicidal thoughts. Myth: Antidepressants can increase the risk of suicide in youth. Reality: As suicidal thoughts often stem from mental illness or extreme mental distress, antidepressants actually help with symptoms of depression and decrease the risk of suicide. For more information, visit Teen Mental Health. 3. Why Would Someone Consider Suicide? As mentioned before, thoughts of suicide stem from mental distress and excessive stress disorders. Thinking about suicide is not a normal response to stress and grief, and should always be taken seriously. Suicide is often misunderstood and people are unable to see what leads to this point. Many people believe it is a cry for attention, but in reality, suicidal thoughts arise from very complex reasons. External help from a therapist or counselor is needed. For more information, visit Jack.org. Many people are scared to say the word “suicide” and dance around the subject, but that makes things worse. It is more likely that a person will open up to you and tell you the truth if you ask them directly. Also, it’s important to note that asking or talking about suicide will not put the idea in someone’s head. As mentioned before, suicidal thoughts usually start from abnormal mental distress. For more information, read the Applied Suicide Intervention Skills Training (ASIST) manual. 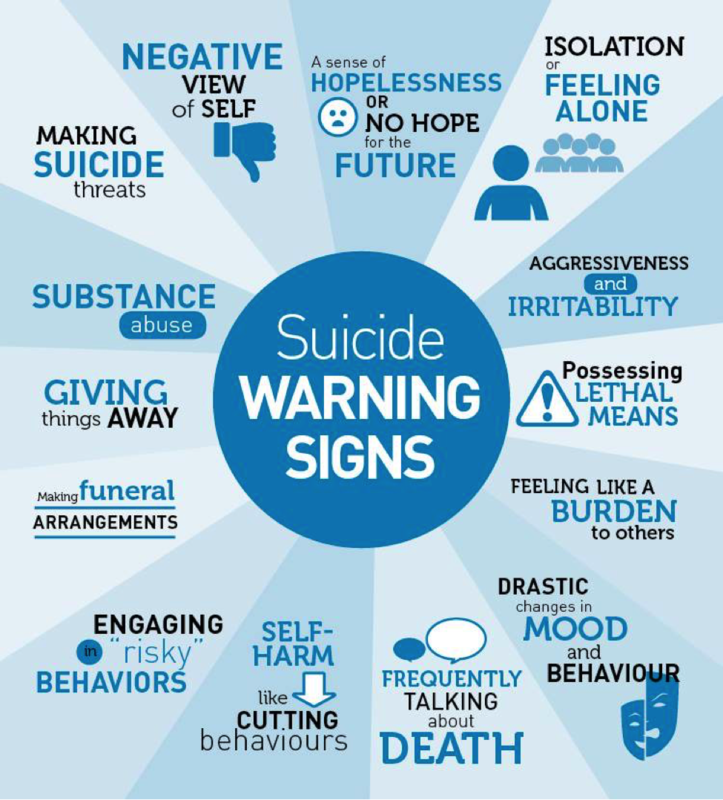 If you or someone you know is having suicidal thoughts, it is best to reach out to a health professional right away. This could be talking to your doctor or reaching out to a therapist or a counselor. If someone has just disclosed to you that they are thinking of hurting themselves and are an immediate danger to themselves or others, call 9-1-1 or your emergency services number right away. Also, stay with them. Listen to what they have to say and be there for them. Let them know that they are not alone and that you are there for them. It is not your job to solve their problems, but you can connect them to help. If you can, stay with them until they can speak to a professional. For more information, visit the Canadian Association for Suicide Prevention (CASP). People don’t commit suicide, they die by suicide; “committing suicide” makes it sound like it was a rational decision. Also, this terminology started when suicide was punishable by law and, though that has changed, the term commonly persists and still sounds very criminal. Suicide comes from pain and distress. Using the right language is really important to aid in erasing the stigma around the topic of suicide. This is a real problem that affects people all around the world and should be talked about more often. Read more on why you shouldn’t use this terminology here. Chocolate Lover – Bollywood Dancer – Bhangra Enthusiast – Mental Health Advocate. Jessie Brar studied psychology at Queen’s University and is currently working at a boutique recruitment firm in Toronto, Canada. Her spare time is dedicated to raising awareness about mental health through volunteering with organizations such as Jack.Org and running The Mental Health Spotlight (@TheMHSpotlight), an Instagram project dedicated to erasing stigma around mental health and mental illness in South Asian communities through the power of storytelling. 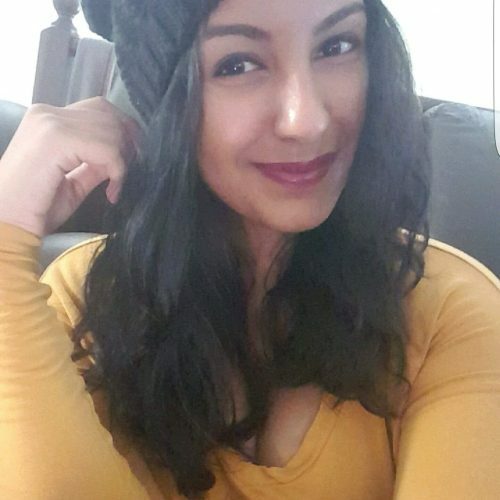 In her downtime she can be found cuddled up watching/reading Harry Potter, eating Reese’s Cups, or dancing to Bollywood and Bhangra tunes in front of a mirror.